> Just like a pubcrawl but with food! Come meet some of the local chefs, and join the food adventure through four restaurants and a surprise detour all in one night! 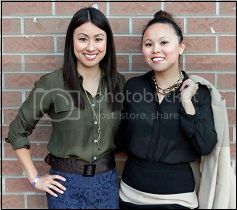 > Each year, artsScene hosts this event to celebrate volunteerism in the arts by Canada’s young professionals. This year's theme is the hopping nightlife of 1920′s Atlantic City Boardwalk and promises to be the cat’s meow! > Great deals on new fall arrivals from Jessica Simpson, BGBC, Sam Edelman, Via Spiga, Vince Camuto, Naturalizer, Dr.Scholls, Fergie and more. Sizes 5-11.